Prosperous communities often build strong walls and train their men to protect their community from external attacks. The security and prosperity of such communities are sustained by the people’s ability for industrial contribution and emotional attachment to the community. This is because people prefer staying where they can develop, manifest and market their potentials, and be valued as important members. But if many community members are dissatisfied with the community’s administration, they may prefer migrating to other places. Such internal dissatisfactions breed rebellion and sabotage, causing terrible rulers to use Nigerian military for suppressing the people instead of protecting them. Around 1990s, there was a common belief that Nigerian military-men were incorruptible, especially when compared with police. They are trained to die in defending their country, and to live consistent lives of sacrifice for their country. However, after Nigeria’s return to democracy in 1999, these beliefs about Nigerian military began to drop. Lately, there are objections about Nigerian military’s morality, purpose, competence and effects, judging from their roles in military and civilian regimes. Accusations on the Nigerian military include human-right abuses, extra-judicial killings, corruption, sustaining terrorism for big allocations and arrogance over citizens and other law-enforcement agents. Why do societies need military protection? Progressive societies are arranged such that members can develop their potentials for creating and exchanging wealth from natural resources. To ensure peaceful collaboration in creating wealth and enjoying life, they develop methods for managing human relationship in the society. When a people have developed social methods for creating wealth and living happily, they feel the need to protect their wealth and way of life from external forces. Hence, contribution to the society is mainly divided into three: production, administration and protection. Thus, production forms the social foundation for progressive societies as it influences the social administration for prosperity and security. While everybody is encouraged to produce physical goods, intelligent people are chosen to administer the society with great ideas, and strong people protect the society. Though there are non-human attacks like flood and fire disasters, this article focuses on human attacks from outside a society. 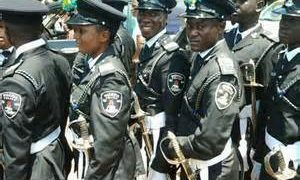 In a previous article on police reform, we discussed how Nigeria can reform the police to manage violence within the society. This article discusses defending attacks from outside. Why would people want to attack another country? Greed: countries with rich human and mineral resources are prone to attacks. Greedy nations seek to destabilize such countries in order to exploit their human and material resources. Revenge: countries attack one another in response to a real or fabricated harm done to them. Fear and jealousy: people attack others if threatened or envious of other countries’ growth. Liberation: with present globalization, people attack countries they believe are directly or indirectly influencing or controlling their country or government negatively. Ideological attacks: aim to destabilize productive societies by planting harmful, demoralizing or distracting information among its citizens. This type of information creates distrust and turns citizens against one another, leading to conflicts and fall in productive collaboration. It comes subtly by twisting social, religious or academic education, or from social media, movies, songs, arts and writings to promote hatred, vanity, laziness or greed. When ideological attacks penetrate a country, citizens lose faith in the country and may assist outsiders to destroy it. Ideological attack is countered by regularly evaluating and modifying the social foundations for productivity in a country. It requires gripping citizens’ loyalty by creating social structures for citizens to earn meaningful living from developing and utilizing their potentials. It requires social enlightenment and intelligence-gathering to know the citizens’ capacities and level of loyalty to the country. For “a nation whose citizens lack a national consciousness and patriotism is a nation that has lost its soul”. Reorganizing the society’s foundations for collaborative productivity and quality control. Guarding the borders properly against smugglers of harmful and unregulated products. Fortifying the immigration, customs, navy and other agencies responsible for controlling the inflow of humans and products to the society. Military attack: is the most direct form of attack as it involves both secret and open use of military force (guns) on another country. Military attacks can come through water, land or air. Water: submarines, militarized speed boats, war-ships, marine-fighters, etc. Land: battalion, infantry, armoured vehicles, tanks. Air attacks: jet fighters, anti-missile, surveillance radar, surface to air missiles, etc. Countering military attacks requires info about a society’s immediate and potential attackers. First, self-evaluation to determine who your country is oppressing or has oppressed directly or indirectly that may seek revenge or liberation through military attacks. Second, stop the oppression, apologize, amend and fix relationship with those countries. Third, gather info on greedy, envious or oppressed potential-attackers’ military capacity, in case they decide attack despite SINCERE peace efforts. Fourth, barricade and properly secure your borders against possible invasions. Fifth, train and equip your people to collectively defend their society from any attack. Finally, mount surveillance to detect and neutralize threat before it could do any harm. Proper defence requires high moral ground, sustainable productivity and ability to stage coordinated military defence on air, land and water. Before colonialism, several communities and kingdoms occupied different parts of the present Nigeria and used their resources for non-mechanized productivity. They also organized their communities for young men to defend their communities with manual weapons like spear, arrow and machete. Around 1850, European colonialists seeking mineral resources for their industries invaded with machine-guns to bombard the communities into submission. Thus, British colonialists created Nigeria by brutally binding the unconsented kingdoms and communities under a militarized government for exploiting resources. They killed those who opposed their invasion and trained few loyal ones to assist them in enforcing the colonial rule. Before leaving at independence, colonialists replaced themselves with their native assistants and fixed constitution to guide them in seizing and exporting people’s resources for consumer products. Thus, colonialists installed a divide-and-rule system between colonial successors who seize people’s resources for export and the defeated communities. Presently, the different ethnic communities are living in defeat under a colonially-imposed structure that confiscates their material resources. To appear democratic, Nigeria’s colonially-imposed government created states, local governments and ministries to share few foreign products as infrastructure, salaries and charity handouts. Since then people struggle to occupy the colonially-made offices to enjoy foreign money from seized resources. What is the use of Nigerian military in the post-colonial government? Now, world superpowers do not need to attack Nigeria since Nigeria is ideologically and structurally defeated/exploited by colonialists and their allies. “Most, if not all the companies handling key and strategic sectors of the country’s economy are from these unfriendly countries.” Then the Nigerian imposed government continues appeasing their imperialist machinations in “a strategy of waiting to be eaten last”. Thus, instead of defending the ethnic communities, their resources and productivity, military is used for seizing people’s resources. Also, Nigerian military is used to suppress insurgents and social misfits that rose from frustration of being denied resources for productivity. Nigerian defence does not exist for the defeated communities since the imposed government uses Nigerian military to seize their production resources for former colonialists. Unclear purpose: The highest force in a soldier is the conviction about the nobility of his course for common good. In theory, Nigeria’s imposed constitution allots national defence to the military, but in practice, the alien political structure uses the Nigerian military for protecting post-colonial exploiters and allies from the exploited people. They often become escorts for big men, intimidation tools for the rich or bullies to the masses. Manner of getting leadership: in democracy, power develops organically from bottom (people) to top (leaders). But in autocracy, power is first seized from a defeated people and given from top (rulers) to down (appointed officers). Nigerian government and military came from colonialists, and obtaining leadership positions in the military follows the autocratic appointment from top to bottom. To get military power, Nigerians struggle to occupy the colonially-made position for commanding Nigerian military or to appease the position holder. Thus, a big man’s son/loyalist can be promoted to lead more intellectually and emotionally meriting candidates. 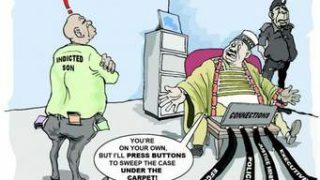 Then, sycophancy to authority overtakes merit, not only in the military, but in almost all sectors of Nigeria. Low quality of recruits: “the fundamental strength of any enterprise lay in its people.” After British colonialists left, their trained successors assisted foreign companies to exploit people’s resources in exchange for foreign consumer products. There was no need for growing military number until the Biafran war, when military hastily enrolled many untrained young men to become soldiers. Thus, the lowest ranks were reserved for the numerous unemployed people who just understand “shoot” orders without proper intellectual training. Also, the forceful binding of unconsented communities in Nigeria creates an army of people with mutual distrust and alleged sabotage. Dependence on foreign weapon and maintenance: “the country’s armed forces rely on external sources for obtaining virtually all its military hardware.” Since Nigeria’s imposed government is programmed by colonialists’ constitution to seize mineral resources, Nigerians lack resources for producing military hardware. Instead, the Nigerian government relies on ex-colonial exploiters for guns, bullets, tanks, jet-fighters, speed-boats and communication gadgets. Unfortunately, foreign exploiters benefitting from Nigerians’ restriction from using resources for production will not supply the equipment for stopping their exploitation. 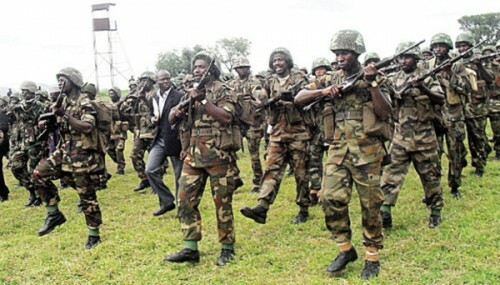 Military arrogance and non-collaboration with other forces: the military coups, expansion and hold on Nigerians after the civil war entrenched the Nigerian military’s nearly first-among-equals status in Nigeria. Since then, some military personnel became arrogant, feeling entitled to preferential treatment from everybody including police and other law-enforcement agents. Ability to adapt to different situations, to learn fast in new situations and to gather info. Demonstrated ability to intellectually understand the society and its agreement (laws). Meet up with standard university admission requirements. Retentive memory, facial recognition and sociable personality to blend in the society. Psychological balance and mental sanity certified by reliable clinical psychologists. Physical fitness, energy and sound health history. Able to learn about maintaining and handling weapons, to avoid accidental discharges. Original citizenship, background verifiable moral character and commitment for the society. Having no history of felony conviction, domestic or sexual abuse, illegal drug use and driving or financial recklessness. Conduct a social research to determine and acknowledge the different colonially-bound peoples and their respective lands and resources, instead of holding to the colonial idea of an alien government ownership of all lands and resources. Organize intercommunal conferences within local governments, states and regions towards a national conference for the different peoples to agree on their partnership style. Thus, constitutional decisions and laws will reflect the people’s beliefs and agreement for a better partnership and technologically productive collaboration. Invite local (and foreign-trained) specialists to train the people to process their local resources for further industrial production. Hence, each section of the society will work to specialise in producing more of whatever natural resources they have. Release the people’s onshore resources for industrial productivity and eventual tax-payment to the central governments. This will motivate the government to encourage and protect people’s productivity for better tax-returns. A wealth-creating people with active industries will eagerly sustain a desirable society and collaborate for proper military defence. Secure the country’s landed borders with electrified cable fences and posts against invasions. Each ethnic community sends three or more trusted young indigenes with the above-stated qualities to their local government. If the communities already have people in the military, the personnel who wish to continue require attestation from their communities. Drafting military personnel from productive communities enriches an army with people who fight to defend what they love, and not unemployed people fighting for an opportunity to eat. 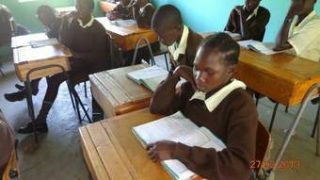 The individuals will undergo tests by independent bodies to determine their intellectual, physical and emotional fitness or grade for their posts. Upgrade the defence academies to tertiary institutions with special courses in administration, law, security, geography, information technology, education, engineering, accounting or other relevant courses. Thus, they will have other productive duties to perform when they are not on defence duty. Integrate the former Biafran research and development units that manufactured weapons during Biafran war to teach local weapon production. Retrain those who failed their intellectual or emotional tests to qualify for their posts. Institute post-war disorder management, and association for fallen heroes’ family welfare. What secures and prospers a nation is the ideal upon which it is founded and managed. Though the colonial ideal for creating Nigeria was brutal exploitation, Nigerian ethnic communities will negotiate for productive collaboration and security. A true military is created by the society, from members of the society and for common good, not for exploitation. If our machines are modern, but our hearts are still of the Stone Age, our world will sink. 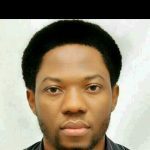 Tayo Demola, “Justice and military brutality in Nigeria” in Daily post, 5 July, 2013 www.dialypost.ng/2013/07/05/tayo-demola-justiceand-and-military-brutality-in-Nigeria/ retrieved 12 December, 2018. Amnesty international, “war crimes by Nigeria’s military”, 12 January, 2018 https://www.amnesty.org.uk/nigeria-military-war-crimes-boko-haram retrieved 12 December, 2018. Cf. Walter Rodney, op. cit. 319. Walter Rodney, op. cit. p.319. Kelvin Ebiri, Chido Okafor, “Military attacks militants, pirates, destroys illegal oil facilities in Niger Delta” in Guardian, 14 November, 2018. https://m.guardian.ng/news/military-attacks-militants-pirates-destroys-illegal-oil-facilities-in-niger-delta/ retrieved 12 December, 2018. 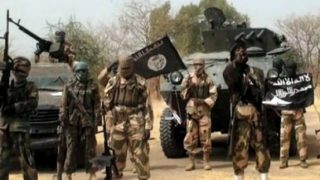 Chukwudi Akasike and Olaleye Aluko, “Military deploys troops in N’Delta, militants threaten attacks” in Punch 8 October, 2018. https://punchng.com/operation-crocodile-smile-military-deploys-troops-in-ndelta-militants-threaten-attacks/ retrieved 9 October, 2018. Chukwunwike Enekwechi, “Moving Nigerians from necessary liabilities to productive assets” in Restartnaija 18 December, 2018. https://restartnaija.com/2018/12/18/episode-15-nigerians-liabilities-assets/ retrieved 20 December, 2018. Best check against military coup is good governance. Kazeem Ugbodaga, “Soldiers beat up LASTMA officer” in PMNews, 13 October, 2015. https://www.pmnewsnigeria.com/2015/10/13/brt-lane-violation-soldiers-beat-up-lastma-officer/ retrieved 17 December, 2018. Cf. Joshua Akinwumi, Biafran technology during the war “I nearly ran mad when my mother died few days after I travelled to England” in Punch, 21 July, 2018. www.punchng.com/i-nearly-ran-mad-when-my-mother-died-days-after-i-travelled-to-england-akinwumi/ retrieved 20 December, 2018. Is the TRUTH ALWAYS BITTER? Great and mind blowing article I must say, But as long as Nigeria constitution gives the president the power to appoint service chiefs, without been screen by the legislative arms,I tell you we will still have issues with operations of the military. I must confess, military is one Institution that as a child i hold in high respect, But with the come back of democracy of politics and politicians, things has fallen apart. The respect people give them is no longer their but fear and disrespect is what is crown on them. Civilians now feel politicians are using them, they disregard and disrespect the people, compromise during election and also in the era of insugence in the north east. I am also make an observation in the area of the Academy aspects, Note that military have all professional courses in the academic both in (NDA) Nigeria defence Academy and Rank and fill personnel. I believe the military can still do more to get back to its pass glory. I can’t imagine that nowadays generals could be killed without fear of the outcome after all the sacrifice they made @d end dey will be killed. If not for any other general, I must say something about Alex based, who served as figter pilot, rose to become a command of President Air flight, chief of Air staff and finally chief of defence staff could be killed jus lik that, not mention all our able soldiers who have lost their lives due to all this North East crisis. So as country we need to restructure our country which when done will also include the military and there after bring the type of military any nation will be proud of. Thank you so much for this reply. The Presidential power to appoint service chiefs is as you pointed out, one of the major causes of corruption in the military. But Nigeria will eventually overcome this phase of structural impediment imposed on it by the colonial constitution.